ISO Image File is one of best ways to backup your data! Did you know that one of the best ways to take a backup of a file or a folder is to create an ISO file and store it in the cloud or maybe burn it to a DVD disc? The advantage of creating an ISO file is the comfort of having to deal with a single file that is similar to a zip file. Further, ISO can be quickly be burned to a disc and fewer chances of getting corrupt compared to a zip archive. 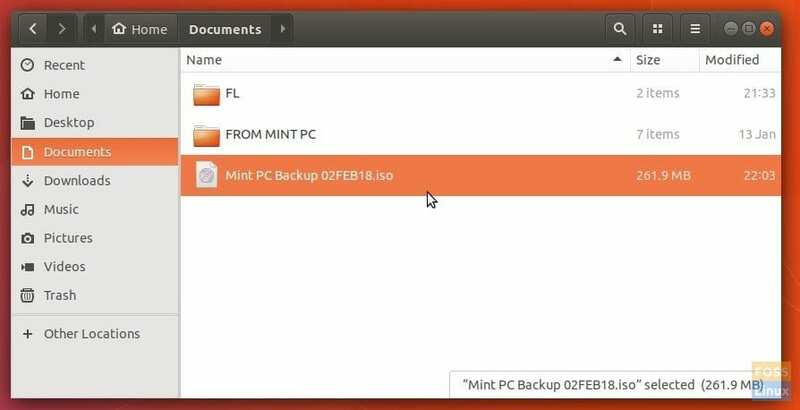 Here is how you can create an ISO for backup purpose. Some Background: There was a much easier way earlier (before Ubuntu 17.04) where a user needs to simply right-click on a folder/file > “Compress”, and then be able to select “ISO” format from the drop-down menu. Though there is still “Compress” in Ubuntu 17.04/17.10, there is no ISO format option. There are only 3 options including zip, tar.xz, and 7zip. This guide is tested to work on Ubuntu 17.10, but it should also work on elementary OS, and Linux Mint. 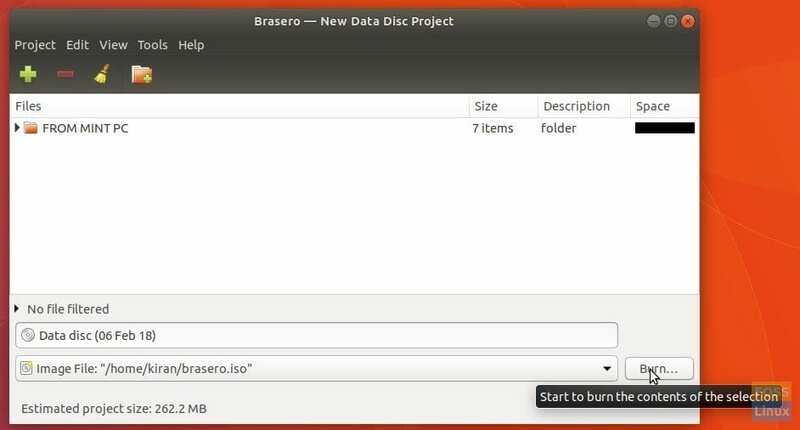 Step 2) Enter the following commands to install “Brasero”. Elementary OS users may need to first enable PPA before attempting below commands. Step 4) Click on “Data Project”. Step 5) Click “+” and add the file or folders which you want to backup. Step 6) Since we want to save the backup as ISO image file, don’t insert any disc in the tray. 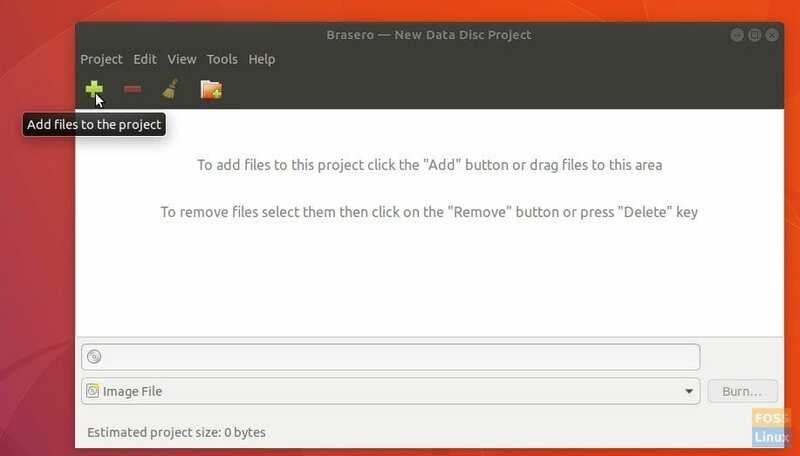 Brasero will automatically save the Image File. You can rename the file to whatever you want rather than default “brasero.iso”. Step 7) ISO image file should be created!